The five great acts of Lord Shiva are srishti, the creative act; sthiti, the protective act; samhara, the destructive act; tirodhana, the act of enfolding or concealing His nature; and anugraha, the act of unfolding or revealing His nature. Each of these acts is also accomplished by the individual soul. In the case of the individual, however, they are not called acts, but “actions” because this kind of act is dependent on the will of God, not on the will of the individual being. There is a difference, therefore, between “action” and “act.” Action is attributed to the individual soul and act is attributed to Lord Shiva. If you believe that because the individual soul does not perform acts but only actions, and that he has no freedom and, therefore, cannot be held responsible for his actions, you are wrong. The limited individual is responsible for his actions. He does have ego and feels that he is acting himself. When he feels that he is acting himself, then he is responsible for his actions. If he were to feel that Lord Shiva is really the actor and that it is Lord Shiva acting, not himself, only then is he not responsible for his actions. But then, of course, he could do no wrong. In the kingdom of spirituality, Lord Shiva creates masters and disciples through His fifth act, the act of grace (anugraha). This grace is ninefold and, therefore, He creates masters and disciples in nine different ways. At the same time, however, this kind of intense grace cannot be resisted by his body, so he throws away his body and dies. This person becomes a master; however, he accomplishes the act of his mastery secretly in the deserving hearts of disciples. He is not visible in this world. Only those who are deserving experience his subtle existence. The second intensity of grace is called tivra-madhya shaktipata. This is “supreme medium grace.” The effect of this grace of Lord Shiva is that the recipient becomes completely and perfectly illumined, but does not leave his body. He is said to be a pratibha guru, that is, a master who is made not by another master initiation, but by his self, by his own grace. He experiences spontaneous enlightenment. These particular masters live in this world with their physical bodies for the upliftment of mankind. That master who has received this particular intensity of grace, which is known as Rudra shakti-samaveshah, is called Rudra shakti-samavishtah because he has completely entered into the trance of Rudra shakti, the energy of Shiva. He exhibits five signs which can be observed by others. The first sign is his intense love for Lord Shiva. The second sign is that whenever he recites any mantra, the devata (deity) of that mantra appears to him at once without his having to wait. This is called mantra siddhih. The third sign which can be observed is that he has control over the five elements. The fourth sign is that whatever work he begin’s he completes that work without defect. And the fifth sign is that either he is a master of all the scriptures or he becomes a great poet. The third intensity of grace is called tivra-manda shaktipata, which means “supreme inferior grace.” In one who has received this grace the desire appears for going to the feet of a spiritual master. And the master that he finds has received the second intensity of grace, tivra-madhya shaktipata. This master is perfect. He is all-knowing. There is no difference between this master and Shiva. The master does not initiate him, rather, he simply touches him with his divine hand, or gazes upon him, or embraces him, and at that very moment this disciple, who is a recipient of medium supreme grace, perfectly transcends individuality and enters into that supreme transcendental state without the need of practicing japa (recitation) or dhyana (contemplation), etc. Although he still experiences pleasure and pain in his physical body, it does not affect him, as his being has become supreme. Lord Shiva, through these three supreme intensities of grace, creates masters in the kingdom of spirituality. With lower intensities of grace Lord Shiva creates worthy disciples. But because the foundation established in the mind of this disciple is not quite completely perfect,the mere touch or glance of this perfect master will not bring this disciple to enlightenment. He, therefore, initiates this disciple in the proper fashion by giving him a mantra and teaching him the proper way of treading. Through this initiation, the disciple becomes enlightened but during the period of the existence of his physical body, he is not completely satisfied with this enlightenment. When he leaves his physical body at the time of his death, however, he obtains completely satisfactory results from the initiation he had received earlier and becomes one with Shiva. 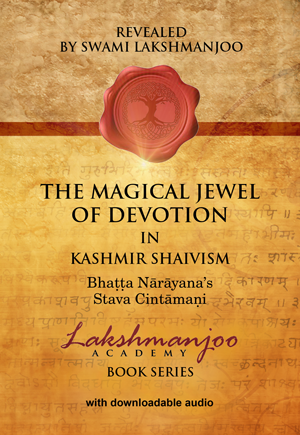 for attaining the state of Lord Shiva and the desire for experiencing worldly pleasures. However, the predominant desire here is for experiencing worldly pleasures. Though he achieves self-realization, it is not complete because of the agitation he experiences seeking worldly pleasures. So at the time of his leaving his physical body, this intensity of grace carries him from this mortal world first to paradise, where he enjoys the pleasures of the world. But while in paradise he does not gain the fitness to begin practicing for attaining the realization of his self. He must, therefore, be again reborn and come down into this mortal field. And from that very birth he sentences his mind toward the fulfillment of his self-realization. Although his life in this mortal realm is very short, as Lord Shiva wants to carry him quickly to his own state, he becomes absolutely complete in that short span of time and enters, in the end, into the transcendental state of Shiva. The above three medium intensities of grace take place in the field of aspirants living in the kingdom of Shivadharma. 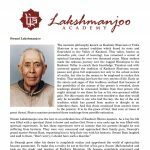 Those aspirants have the inclination to achieve the state of self-realization at least half hourly during the day and at least twice during the night. The remaining period they keep aside for worldly pleasures. The following three inferior intensities of grace—manda tivra (inferior supreme), manda madhya (inferior medium), and manda manda (inferior inferior)—take place in the field of aspirants living in lokadharmah, the kingdom of worldly life. 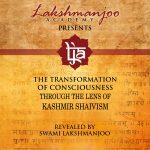 These aspirants have the desire for achieving self-realization, the state of Lord Shiva, only when the pains and pressures of this world become too much to bear. At that moment, they want to abandon everything and achieve self-realization but they are not able to, and though they want to leave this worldly life, they cannot. These aspirants have more tendency for worldly pleasure and less tendency for realizing their Self. But, as the grace of Lord Shiva shines in them, in the end, which may take many lifetimes, they become one with the supreme being.